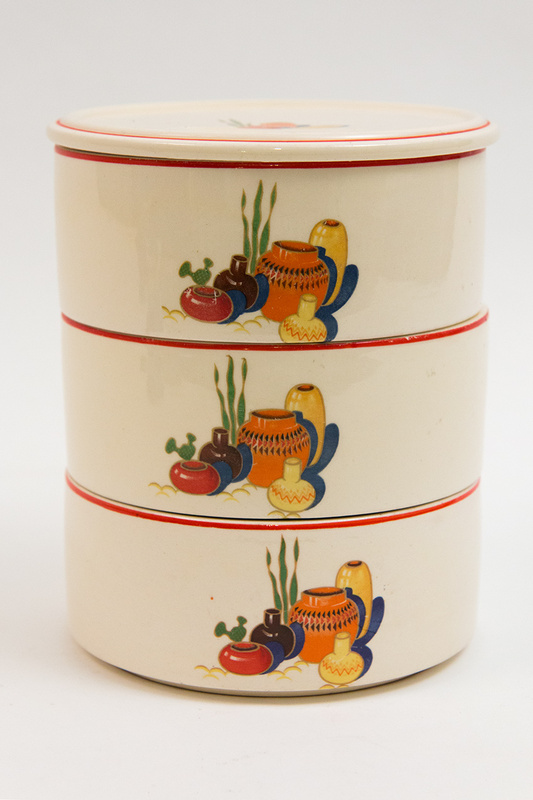 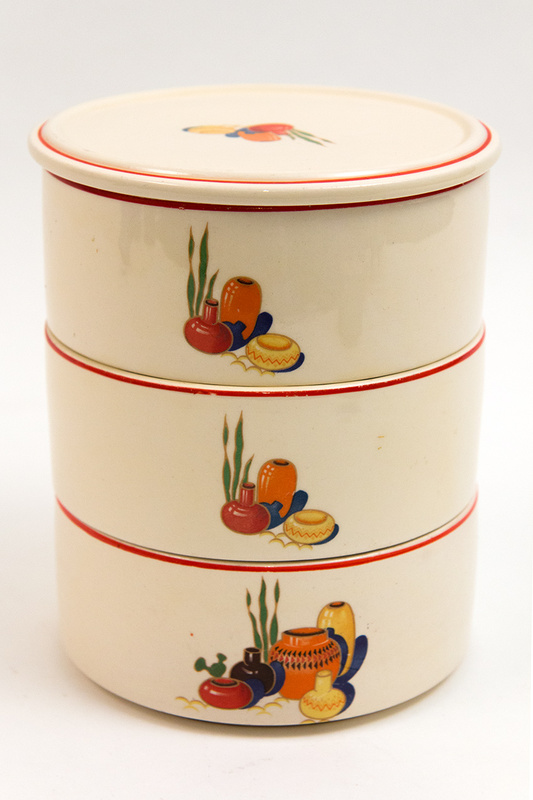 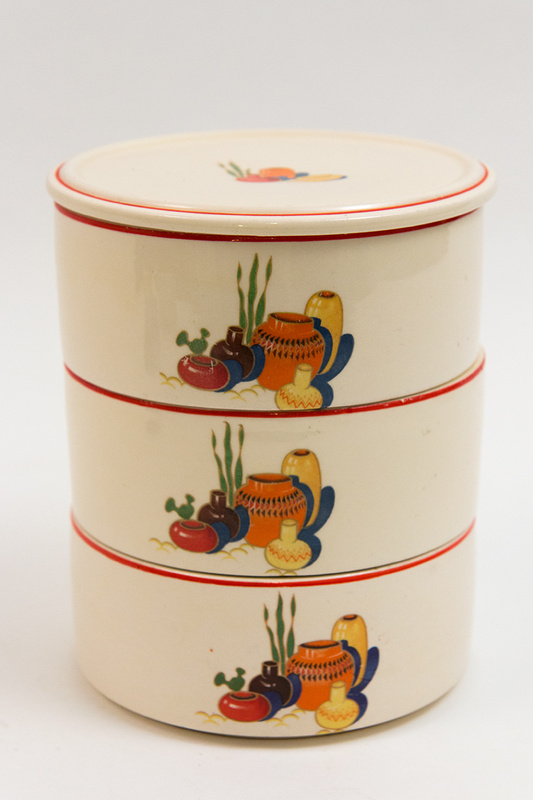 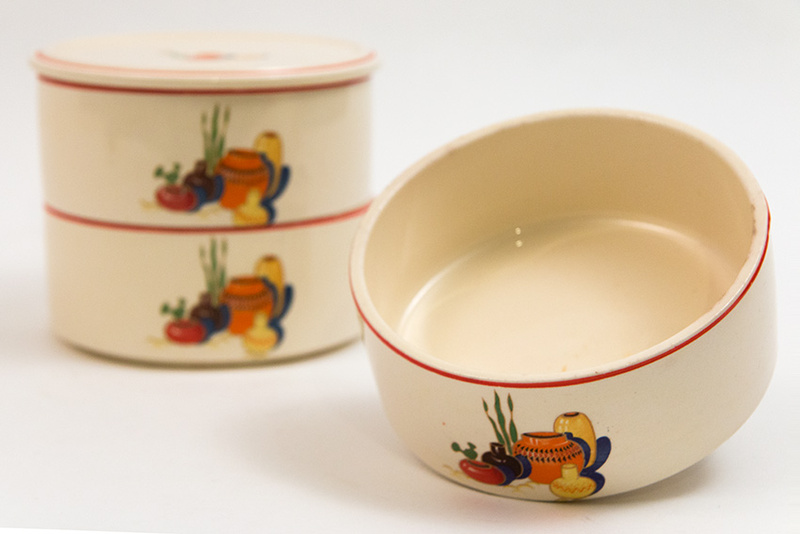 Circa 1938-1943: It's astounding to find this four piece stacking refrigerator set in the Mexicana decalware and red stripe design in excellent condition. 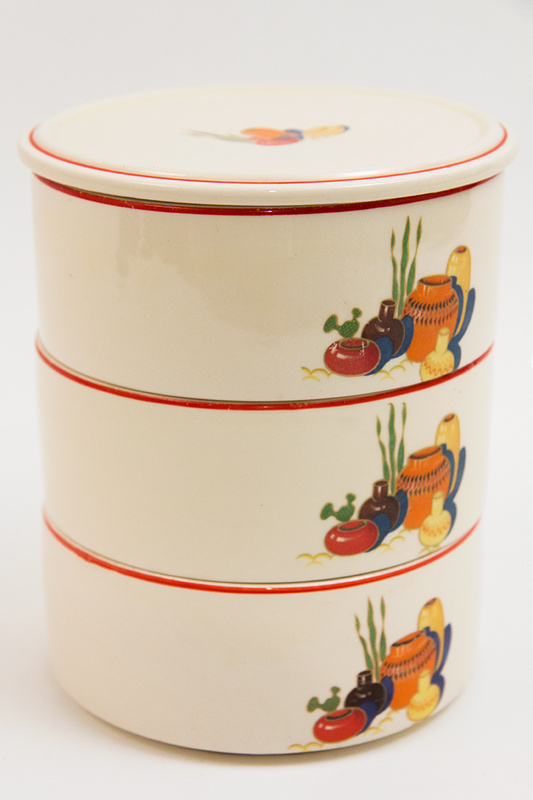 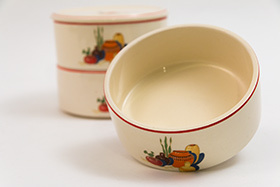 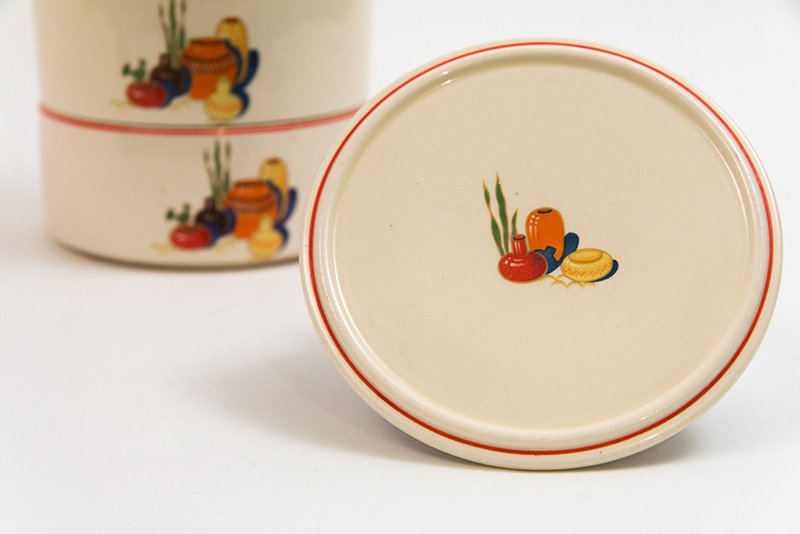 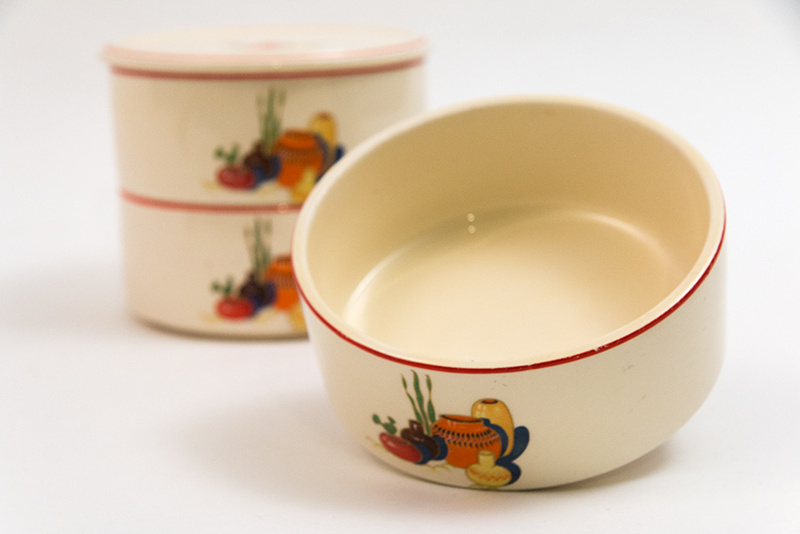 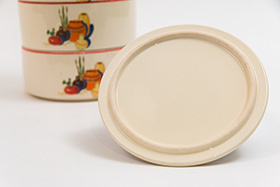 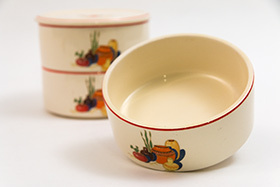 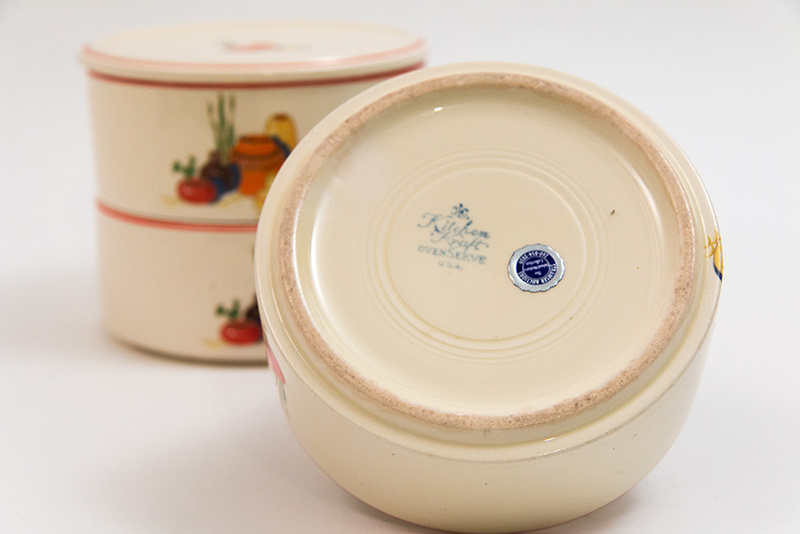 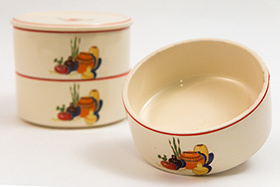 Dipped in original ivory glaze and then decorated on two sides with Mexicana decals and hand painted red stripes, this complete Kitchen Kraft stacking unit will delight even the most advanced collector. From the Richard Mayberry collection, it is a joy to offer this set. 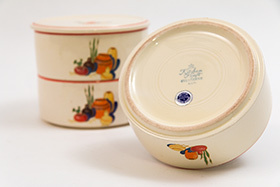 Each unit is glaze stamped "Kitchen Kraft Oven Serve USA". 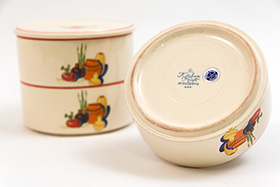 Made to actually go in the oven, it is a delight to find the decals still like new and obviously not used or heavily abused. 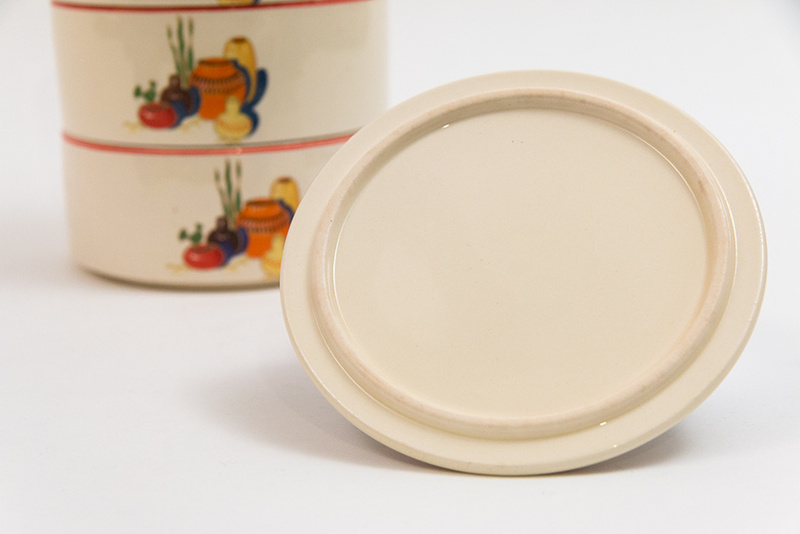 Please note one unit shows a few small stain spots (shown in the 9th photo), but there are no chips, repairs or touchups on the whole set. Quirky to note one unit is decorated with two large decals instead of the typical one large and one small. This complete set will be a cornerstone to your Kitchen Kraft, Mexicana, Red Stripe collection.